Russia offers to keep Iran forces in Syria 62 miles from border, Israel refuses. Russia has offered to keep Iranian forces in Syria away from the Israeli border, but Israel wants Tehran to completely withdraw, an Israeli official said Tuesday. 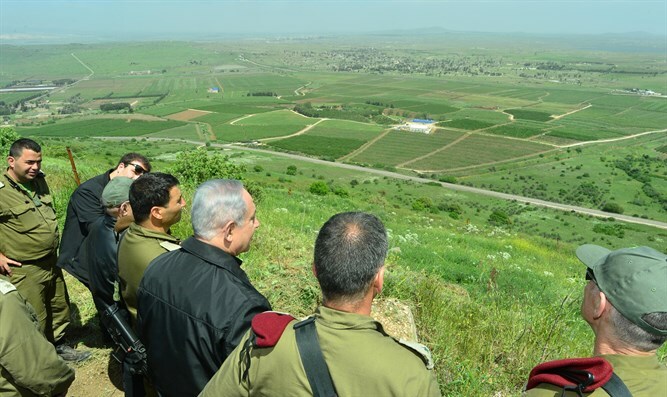 Moscow made the offer -- which would see Iranian forces stay 100 kilometers (62 miles) from Syria's border with the Golan -- during talks Monday in Jerusalem between Israeli Prime Minister Binyamin Netanyahu and Russian Foreign Minister Sergei Lavrov, the official said. But Israel said the proposal did not go far enough. "We won't accept Iranian military entrenchment in Syria, not near the border, not beyond the 100-kilometer stretch, which by the way the Russians talk about and agree to," the senior official said, speaking on condition of anonymity. "We said there are also long-range weapons beyond that distance, and all the forces must leave Syria," the official. The Monday meeting came after Moscow-backed Syrian government forces regained control of most of the two provinces in the country's south near the Golan Heights, through a combination of deadly bombardment and Russian-brokered surrender deals. The advance has pushed hundreds of thousands to flee southward, with Israel enabling more than 800 rescue workers and family members to cross through its territory into Jordan on Sunday for resettlement in Western countries. Netanyahu has pledged to prevent it from entrenching itself militarily in Syria. A series of air strikes that have killed Iranians in Syria have been attributed to Israel. Both Tehran and Moscow are backing Syrian President Bashar al-Assad in the conflict.